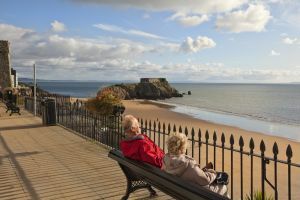 In the best tradition of the Victorian travellers’ remembrance, 19th century Tenby was often described in romantic terms. 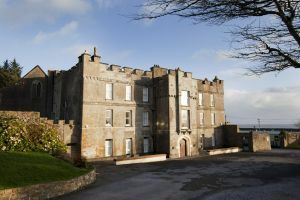 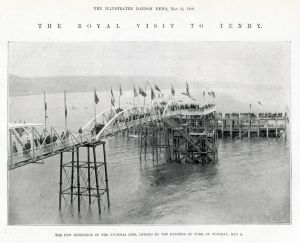 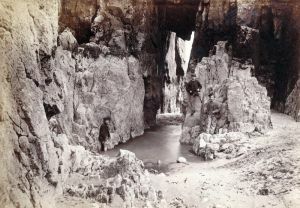 One guidebook suggested that the reader “would always derive much pleasure from visiting the fair and fashionable town taking in the medicinal air and salt water baths”. 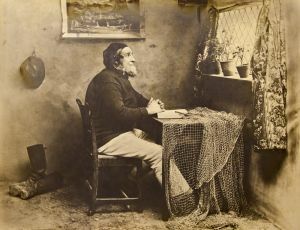 Sir William Paxton, keen to expand on this view, had the Greek inscription “The Sea Washes Away the Ills of Men” placed over the door of the quayside baths. 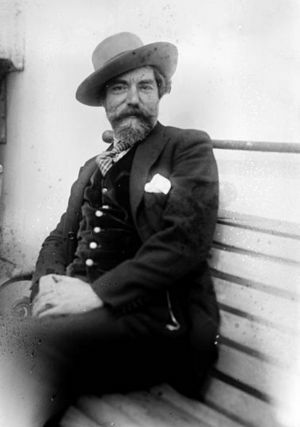 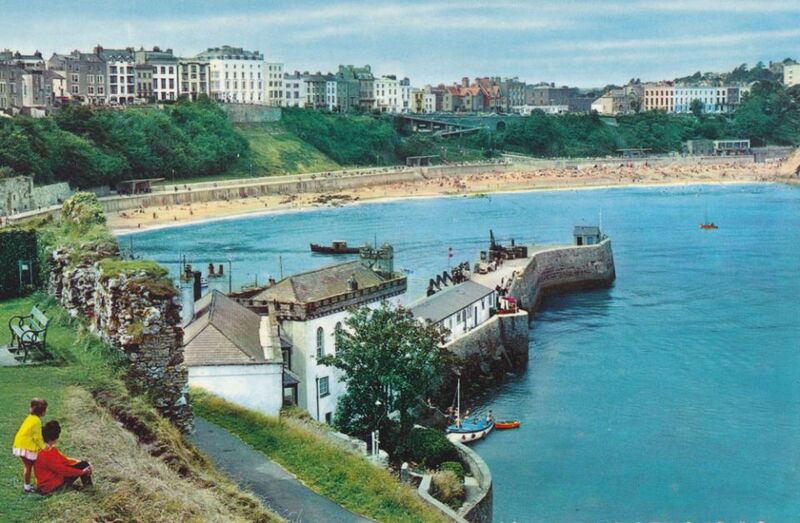 It was due in part to Paxton’s influence that Tenby turned from a somewhat dilapidated port into a thriving resort. 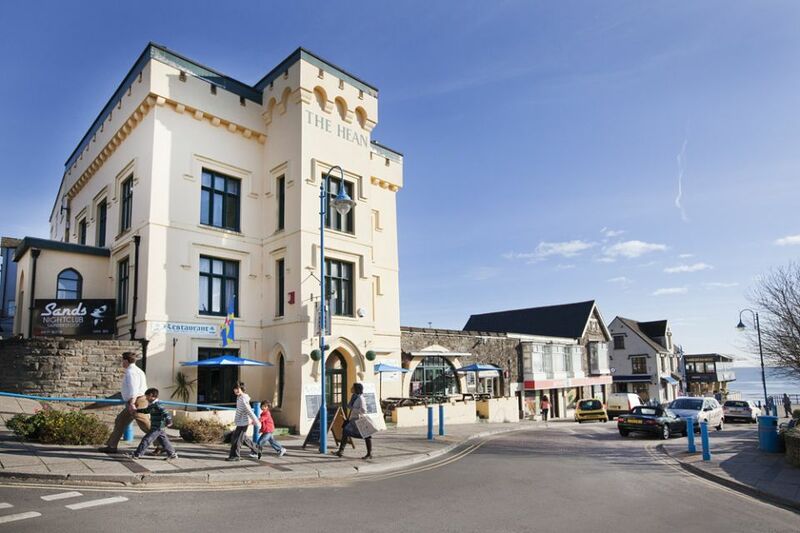 Sir William lived in what is now Tenby House in Tudor Square where a memorial plaque can be seen. 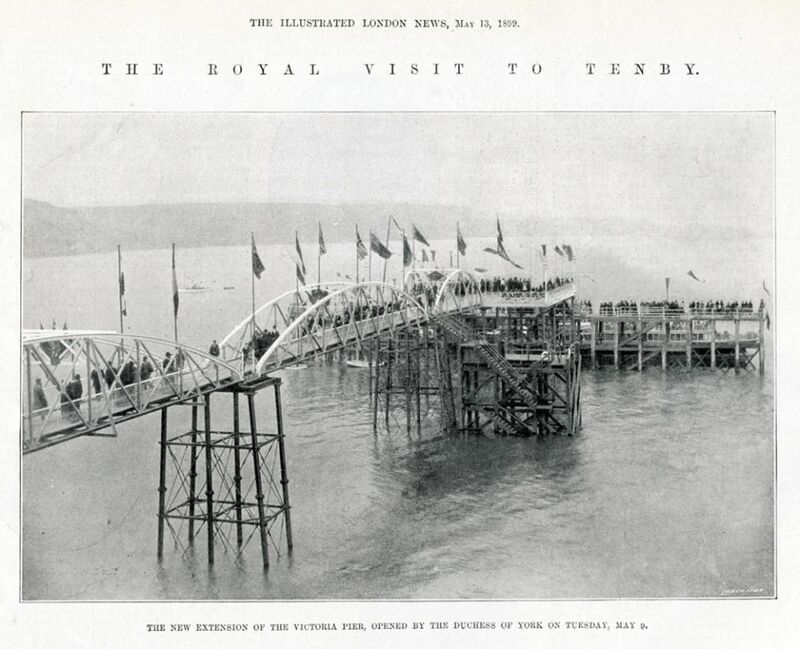 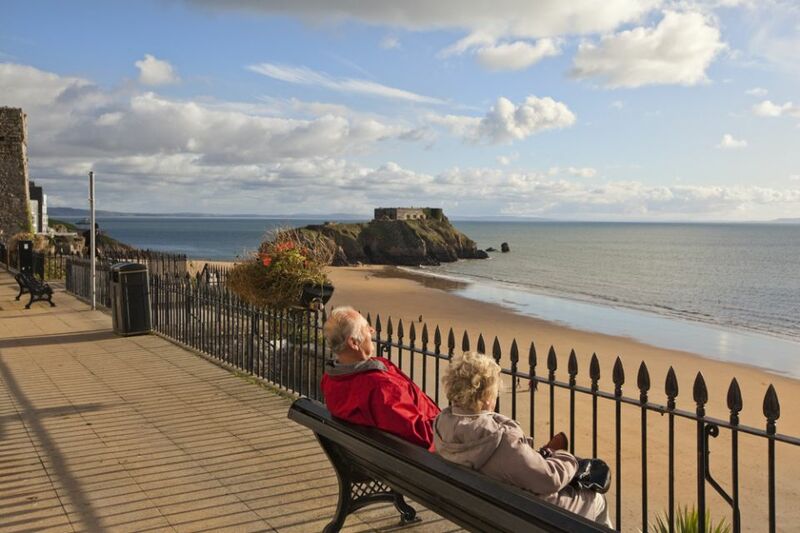 In summer, Tenby swelled with Victorian visitors, first by coach and sea until the new Pembroke and Tenby Railway arrived in the 1860s. The train in effect opened the flood gates to all classes of holiday makers with the “letting rooms for all people of good breeding “ the staple trade. 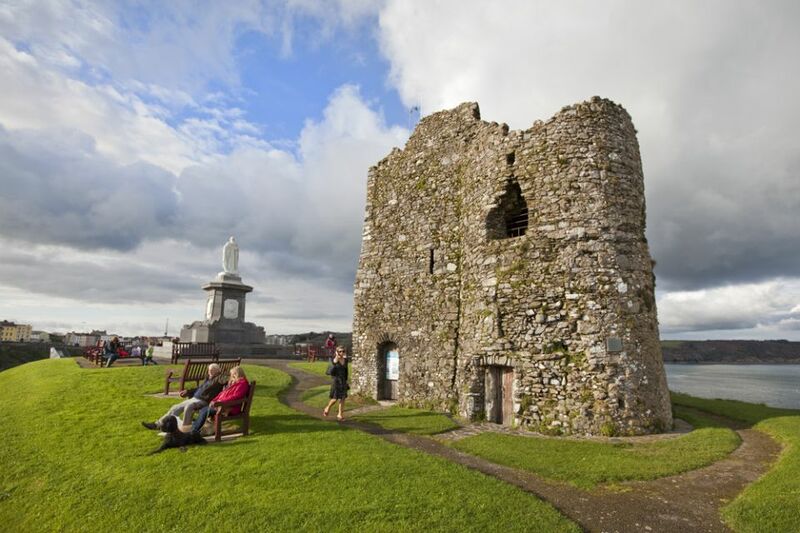 Already steeped in history the ancient walled town was ripe and ready for the new influx of travellers. To facilitate the growing numbers, the town council embraced this new age of prosperity, sanctioning the building of grand houses and comfortable guest houses, along with the Royal Victoria pier. 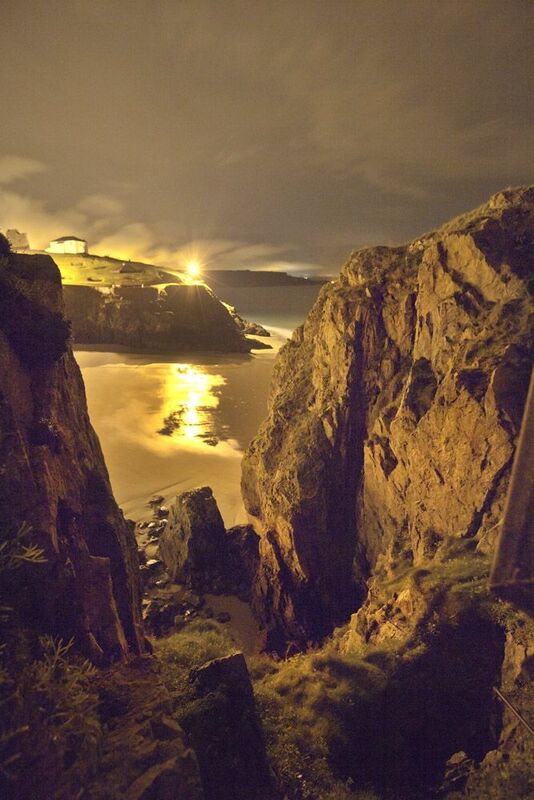 Tenby was truly a resort to be reckoned with. Filling the hotels and guest houses the visitors poured into the resort. Taking in the glorious sea air they explored the shoreline and caves, they promenaded in their finest, they took into the sea from horse drawn bathing machines, embracing all that the resort offered. 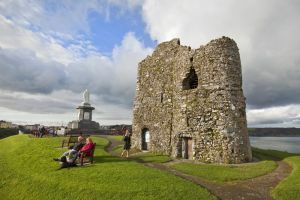 On summer days they would listen to the band playing on Castle Hill taking in the majestic view we all know and love today. 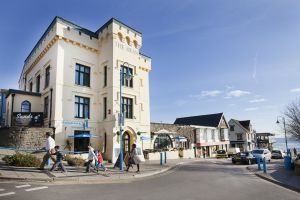 As with all things Victorian, class and status prevailed, the resort’s finest hotels flourished, providing the upper echelons of society with contemporary world class accommodation. 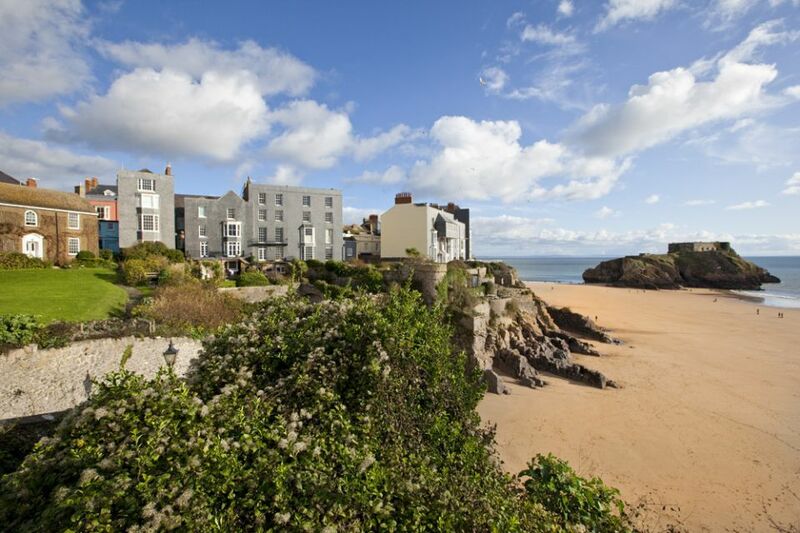 Times move on certainly, but without doubt Tenby the resort, the ancient town, is still today a seaside resort to be reckoned with. 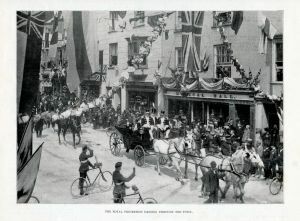 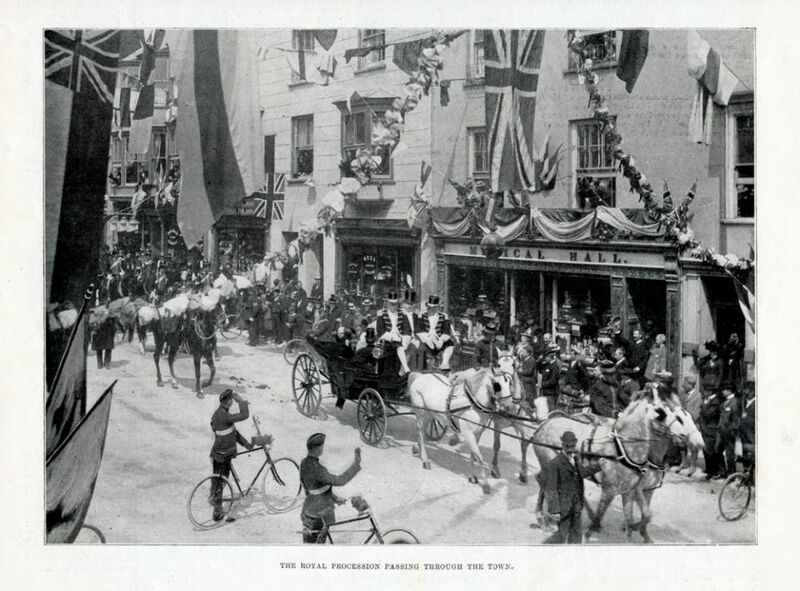 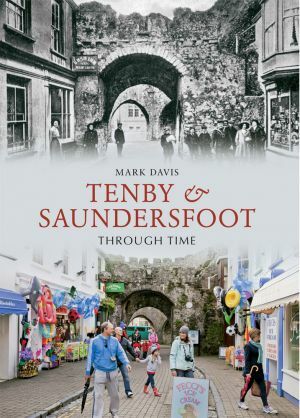 Although this book is aimed at providing a snapshot into the illustrious history of what is in effect South Pembrokeshire, today we find the same beguiling charm still remains that won the hearts of those early Victorian travellers. 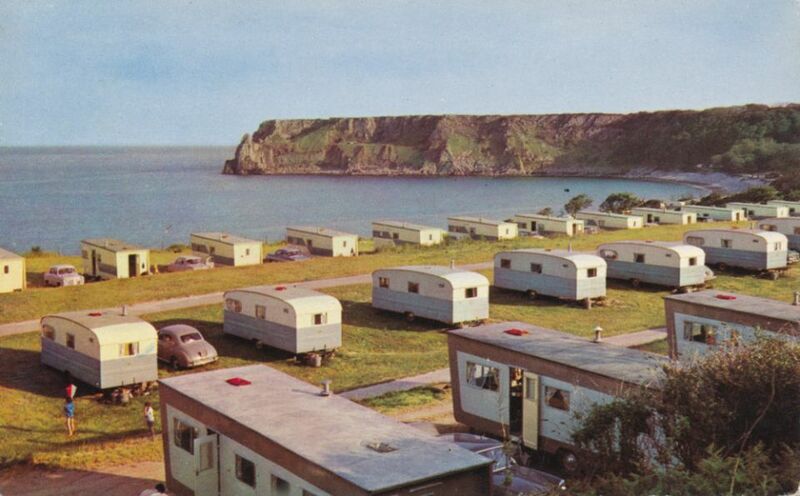 More recent times have brought us the caravanning holiday. 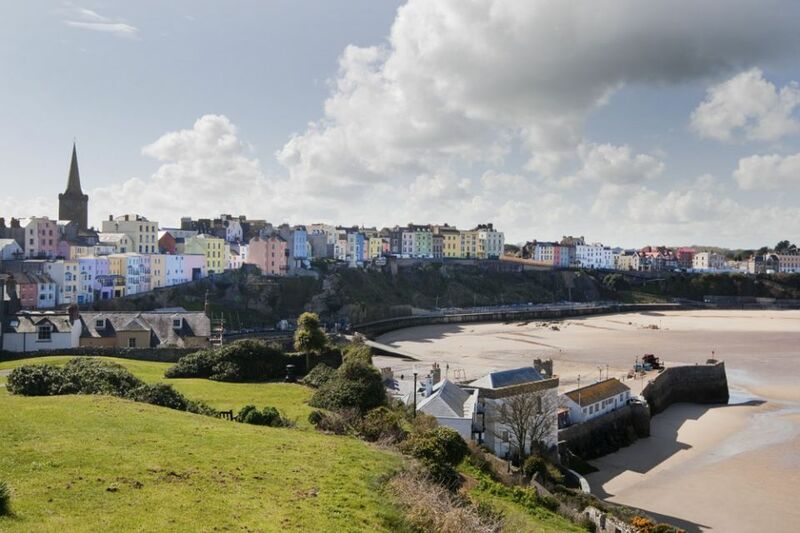 All around Tenby and Saundersfoot sites sprang up, many originally in farmers’ fields. 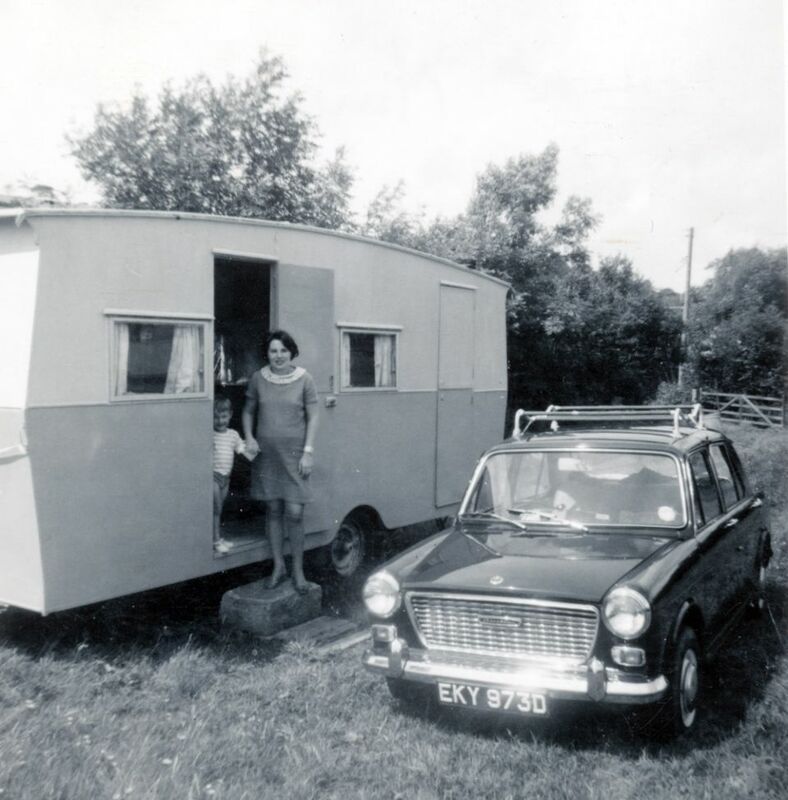 My first holiday as a child was spent in Pleasant Valley (just outside of Saundersfoot) in a tiny caravan opposite Willie Morgan’s two room cottage, . 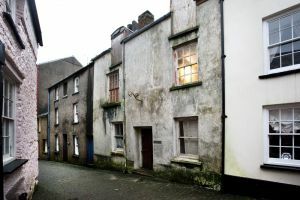 The old cottage remains although in a somewhat derelict state 40 years after his death. 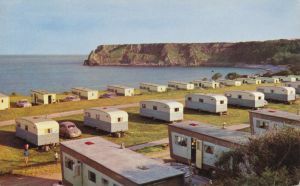 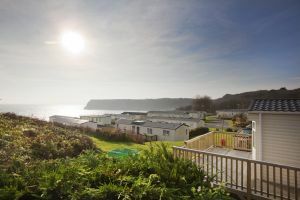 Many of these caravan parks are still in business, often with much expansion – the spirit of the caravanning holiday lives on! 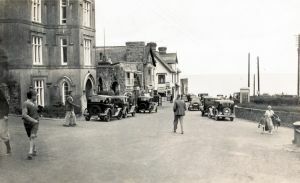 All that has changed is the accommodation; the views are as ever and always will be spectacular. 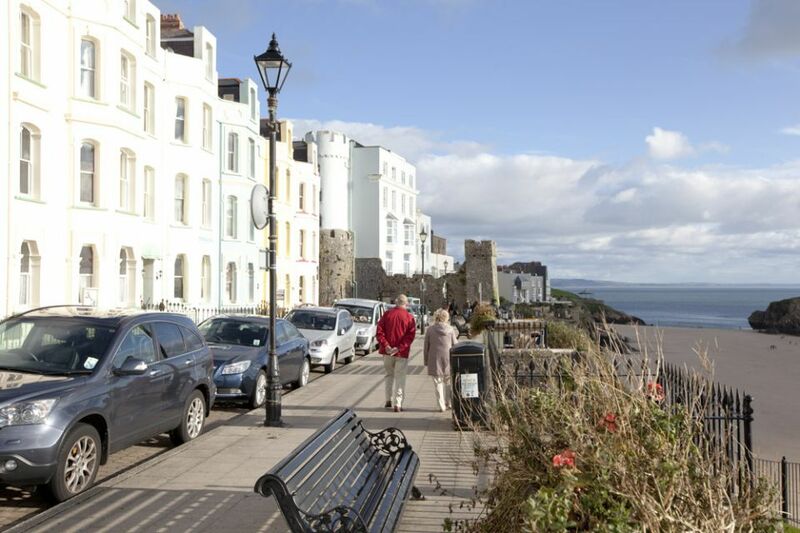 Saundersfoot in contrast to Tenby was for the most a heavily industrialised village just 3 miles away. 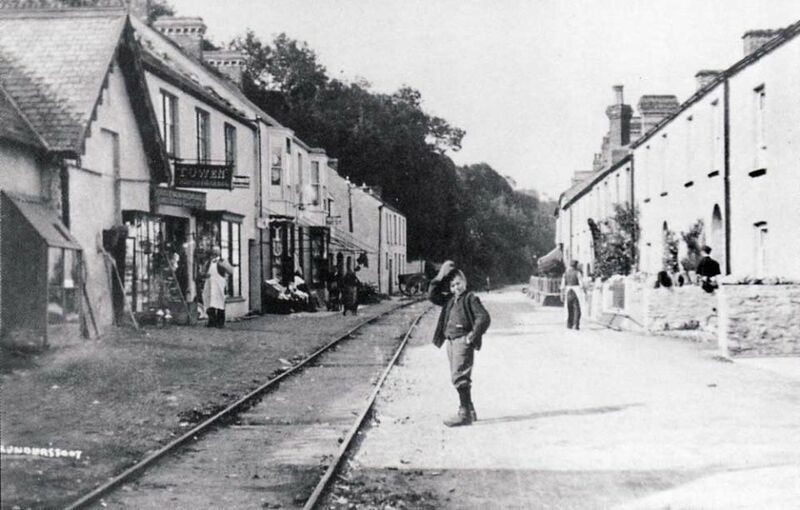 The coming of tourism to the village was slow but progressive. 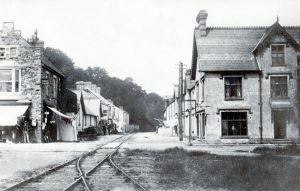 For many decades the train would haul both miners and coal through the centre of the village from the collieries spread around the local area. Rich in her industrial heritage Saundersfoot was a bustling 19th century port exporting both iron-ore and anthracite coal. 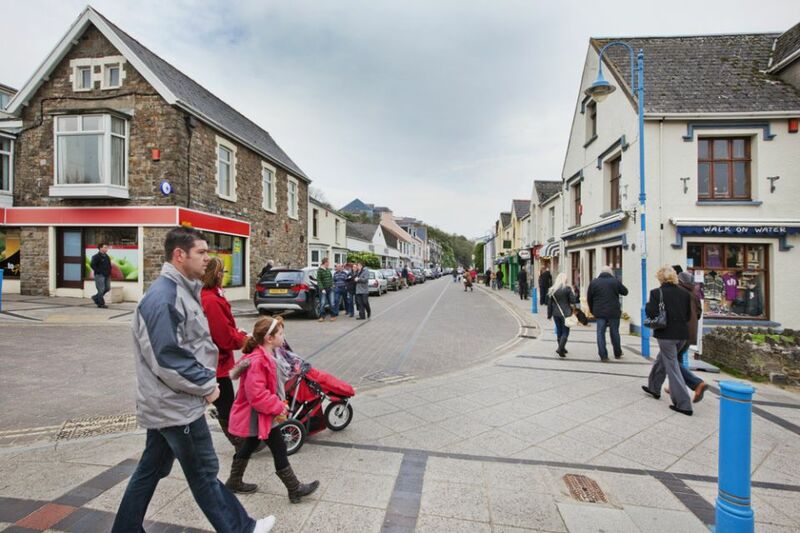 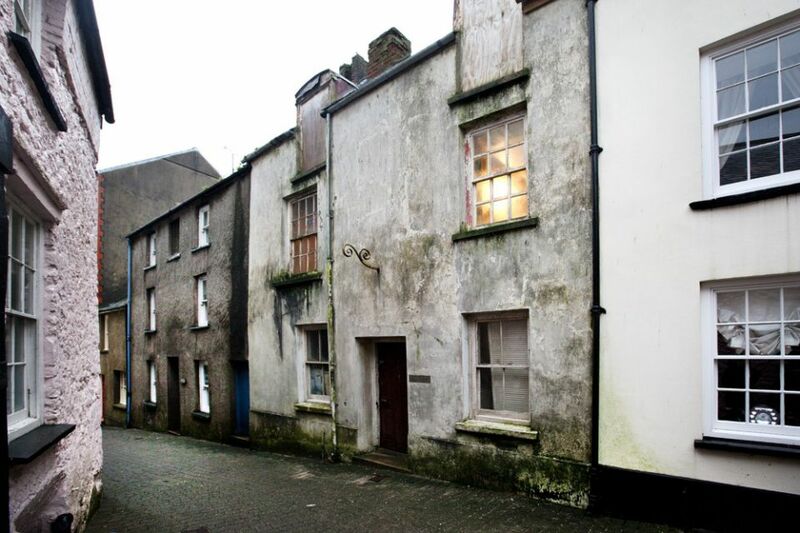 As industry began to decline the village fully embraced her conversion to tourism providing the visitor today with all that is good about the ‘Seaside holiday’. 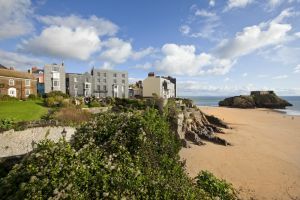 Her beaches and pretty harbour melting the hearts of the most critical holidaymaker. 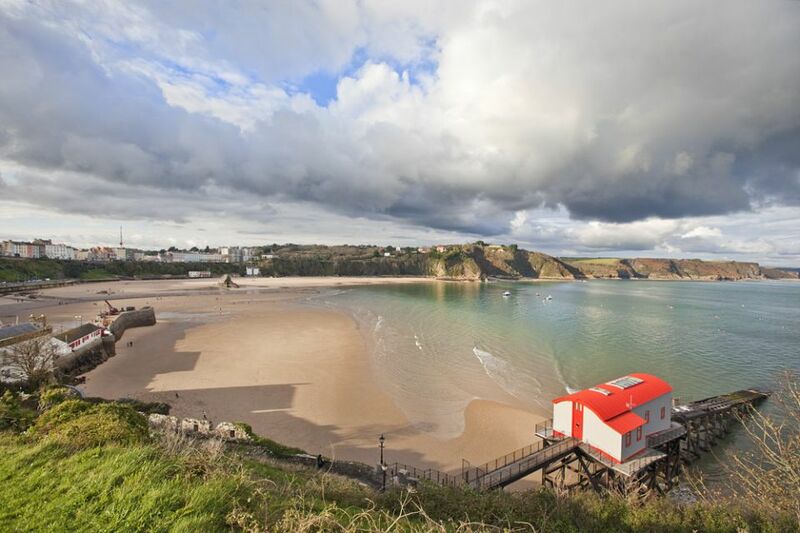 This splendid selection of nearly 200 images is the work of gifted photographer, Mark Davis. Material has not only been taken from the author’s own vast archive but also from several other local sources. The reader is taken on a fascinating pictorial tour into the past of Saundersfoot and Tenby in which we encounter great events and celebrations, forgotten patterns of work and many colourful local characters, to emerge truly inspired by the continued beauty and charm of the area throughout the years. 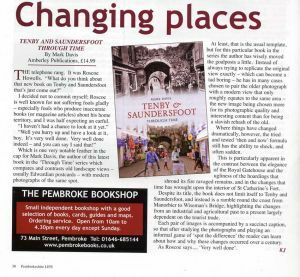 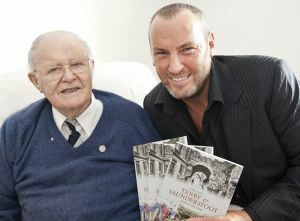 It is a book which will evoke much nostalgia among local residents and will intrigue and inform both those who have retired to these communities and the many thousands of people who each year make Saundersfoot and Tenby their choice of holiday destination. 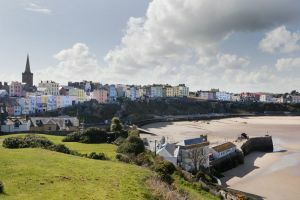 It is the first new book to have been written on this area for many years, and will be essential reading for anyone familiar with this popular and beautiful part of the Pembrokeshire Coast.